Alibaba is trying out a new role: the noble monopolist. With an apparent 84 percent share of online consumer goods spending, it effectively owns the country’s Internet shoppers. Its payment affiliate is the biggest game in town. Both are attractions for its upcoming initial public offering. Alibaba’s long-term challenge is to keep showing that dominance helps the market rather than restricts it. The company isn’t like China’s traditional monopolists. It comes from popularity rather than official handouts or restrictions – unlike, say, tobacco or salt, or the oligopolies that control telecoms and banking. Where “bad” monopolists promote inefficiency, Alibaba has done the opposite, connecting buyers and sellers who would never otherwise meet. China’s thinking on market clout is still developing. A 2008 anti-monopoly law lets multiple regulators investigate even state-owned companies if they believe harm is being done to the marketplace, like setting unjustly high or low prices. China’s National Development and Reform Commission, which regulates prices, has been investigating China Telecom and China Unicom for over two years regarding broadband tariffs. Alibaba isn’t on the radar. A hike in annual fees by its online marketplace Tmall led to protests by small merchants in 2011. China’s Ministry of Commerce then stepped in urging Tmall to defuse the conflict. 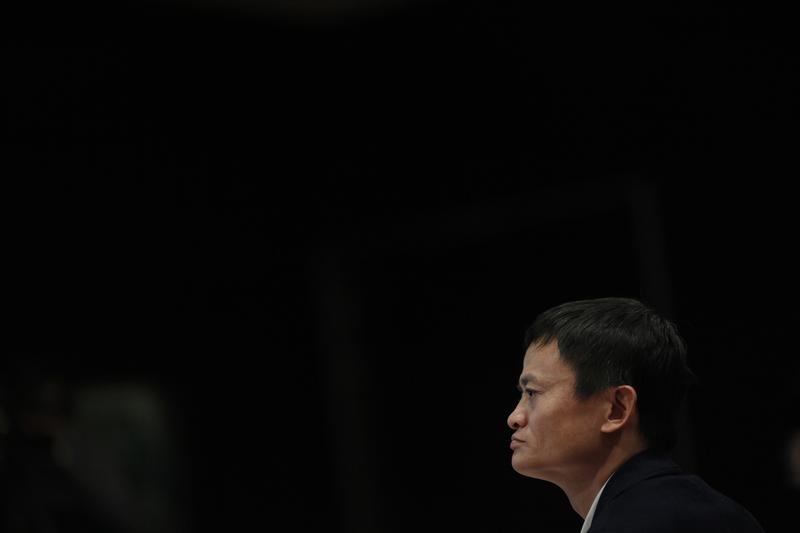 Alibaba later agreed to delay new fees for sellers with positive ratings. While there was no suggestion of anticompetitive behaviour, it showed how Tmall’s market strength makes it both visible and sensitive. Payment service Alipay is similarly strong, powering half of China’s online transactions last year. While not a part of Alibaba’s IPO, users registering for Tmall automatically receive an Alipay account. Other tech companies have faced scrutiny over linked services. China’s top court ruled this year software provider Qihoo 360 unfairly harmed rival Tencent by bundling software with its QQ messaging program. For now authorities seem to buy the “noble monopolist” concept. If anything, Alibaba is helping to prize open other, less efficient market concentrations: its online money-market fund platform Yu E Bao has forced banks to offer similar products to keep up. That allows it to argue its size is for the greater good. For investors, the question is for how long that continues to ring true. Jack Ma, chairman of China's largest e-commerce firm Alibaba Group, attends a corporate event at the company's headquarters on the outskirts of Hangzhou, Zhejiang province April 23, 2013. Alibaba Group filed for an initial public offering in New York on May 6. In its filing, The Chinese e-commerce company said 1.54 trillion yuan ($247 billion) in gross merchandise volume was sold on its China retail market places during 2013. According to consultancy iResearch, 1.84 trillion yuan of gross merchandise volume was sold online in China last year. Alibaba’s payment division, Alipay, handled 79 percent of the transactions on the Chinese e-commerce group’s websites in 2013. It will not be part of the company being listed, but Alibaba has contractual agreements to receive 49.9 percent of Alipay’s pre-tax profit, and it receives preferential terms on the commissions charged to process transactions. Under Chinese law, three regulators examine antitrust issues. The Ministry of Commerce examines mergers, while the National Development and Reform Commission examines pricing-related dominance issues. China’s State Administration for Industry and Commerce examines market dominance issues unrelated to pricing. In October 2011, thousands of small merchants launched an online protest against Tmall over a fee hike they claimed put them at a disadvantage to bigger businesses. Shop owners protested online by buying up goods from bigger stores and then asking for refunds, disrupting business for some big outlets according to Xinhua. Tmall later agreed to delay the fees for sellers who had maintained good ratings. Under current Tmall rules, merchants who maintain high enough feedback and sales can get their annual fees refunded.